In this paper, silver nanoparticles (NPs) were reduced form silver nitrate. Morphology and distribution of the synthesized silver NPs were characterized. 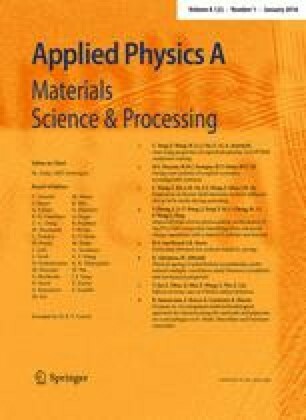 In order to obtain cellulose acetate (CA), nanofibrous membrane with high effective adsorption performance to carry silver NPs for treatment of dye wastewater, different solvent systems were used to fabricate CA nanofibrous membranes with different morphologies and porous structures via electrospinning. Morphologies and structures of the obtained CA nanofibrous membranes were compared by scanning electron microscopy (SEM), which showed that CA nanofibrous membrane obtained from acetone/dichloromethane (1/2, v/v) was with the highly porous structure. SEM, energy-dispersive spectrometry and Fourier transform infrared spectrometry showed that the silver NPs were effectively incorporated in the CA nanofibrous membrane and the addition of silver NPs did not damage the porous structure of the CA nanofibrous membrane. Adsorption of dye solution (rhodamine B aqueous solution) revealed that the highly porous CA nanofibrous membrane exhibited effective adsorption performance and the addition of silver NPs did not affect the adsorption of the dye. Antibacterial property of the CA nanofibrous membrane showed that the silver-loaded highly porous CA nanofibrous membrane had remarkable antibacterial property when compared to the CA nanofibrous membrane without silver NPs. The silver-loaded highly porous CA nanofibrous membrane could be considered as an ideal candidate for treatment of the dye wastewater. Ke Wang and Qian Ma have contributed equally to this work. This research was financially supported by the Natural Science Foundation of Jiangsu Province, China (BK20131222). The authors are also grateful for Qinglan Project of Educational Department of Jiangsu Province, China (QLCG2012). This research was also financially supported by the project supported by Scientific Research Fund of Yancheng Institute of Industry Technology (ygy1409) and Science and Technology Planning Project of Jiangsu Entry-Exit Inspection and Quarantine Bureau (2015KJ18). This research was also financially supported by the Innovation and Entrepreneurship Leading Talent of Yancheng City (2014).